River Action celebrating 35 years of riverfront achievements! Help us continue our RiverWay quests for the next 35 years. Click below to see what we've accomplished and find out how you can support our mission to foster the environmental, economic and cultural vitality of the Mississippi River and its riverfront in the Quad Cities region. 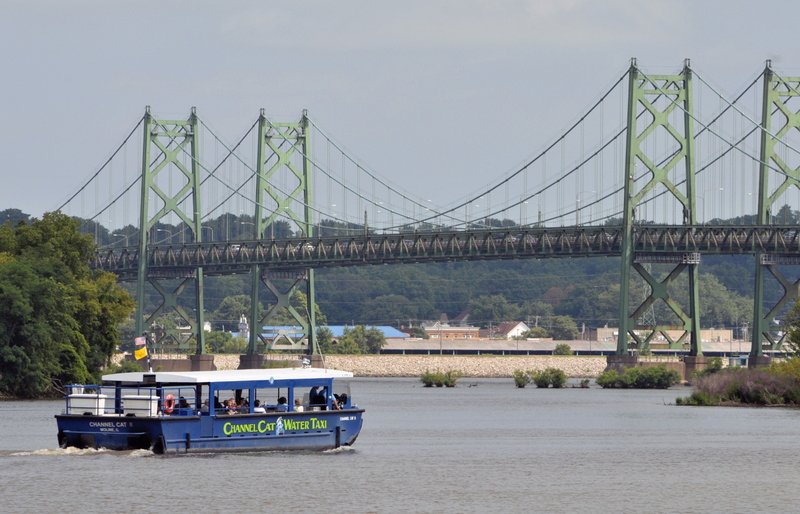 River Action's 'Explore the River Series' is back for 2019 with five new "Art Along the River" sessions and the very popular I-74 Bridge construction tours aboard the Channel Cat Water Taxi. Online registration now open. Celebrate River Action's 35th Anniversary in 2019! Give a "green" gift to someone on your shopping list or pre-order a 60-gallon, 100% recycled rain barrel for your home. Click on the link below for more information on how to pre-order a rain barrel. Working together, we can help to lower the level of future flooding on the Mississippi River, control storm water runoff and reduce pollution of streams and rivers. You can make a difference to reduce runoff and pollution from storm water. For the latest information from the U.S. Weather Service on the Mississippi River flood stage at Lock & Dam 15, click on the image or link below. Explore more than 16,000 acres of publicly accessible natural areas in the Iowa and Illinois Quad Cities region. 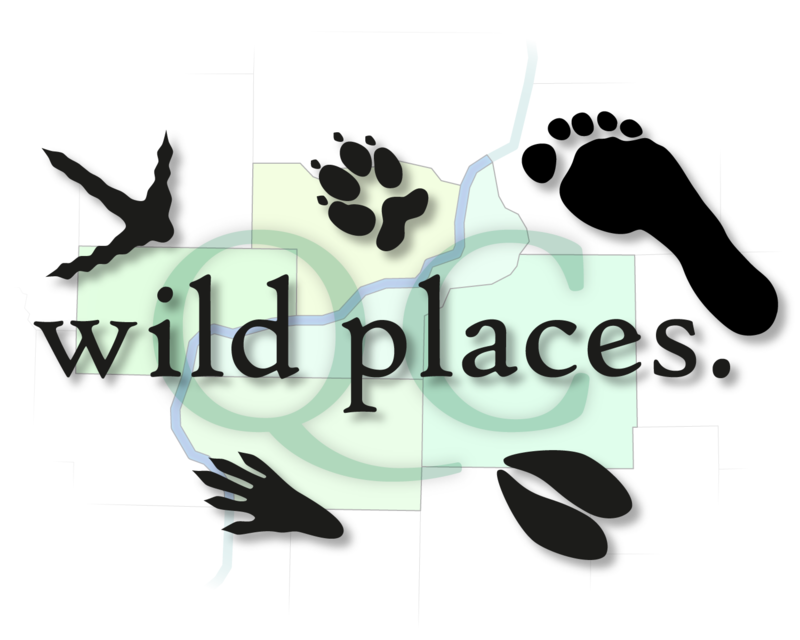 Visit qcwildplaces.com to view photos and detailed information for your trip into the wild. Keep up to date on River Action programs and activities with our "eddy" newsletter. 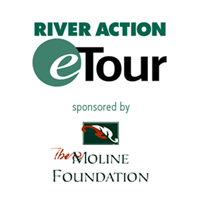 As a River Action member, you'll receive the quarterly update in addition to event discounts. 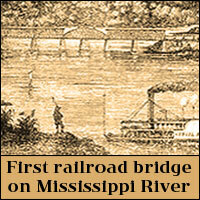 View a pictorial history of the first railroad bridge across the Mississippi River and its three successors. 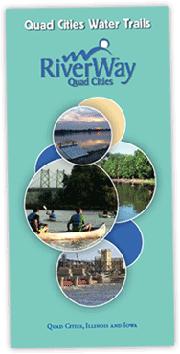 Click on this link to download the 2018 Annual Report for QC Wild Places. What is QC Wild Places?